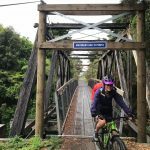 The Pou Herenga Tai Twin Coast Trail is one of the last of the 22 NZ cycle trails to be opened so when we got the chance to ride it right through in one day (without the kids) we jumped at it.…well, actually we cycled for 87km. The trail ride was part of our summer holiday (including 12 days of camping) so the logistics, packing and planning for the kids to be looked after by my in-laws wore me out so much I was wondering whether I could do the whole ride in one day. However after we arrived at the Horeke Hotel in the early afternoon and relaxed on the deck, had a delicious meal and a great nights sleep I was ready to go. Before I talk about the trail the Horeke area is worth a mention. Horeke is at the tip of the Hokianga Harbour and just a 45 minute drive from Paihia. Its New Zealand’s oldest town and boasted the second oldest pub – does that mean New Zealand had a pub before it had a town? Jonny from Paihia mountain bike and shuttles drove us over and we talked about all things mountain biking. He is also very knowledgeable on the area so it was a very interesting drive. We arrived at Horeke about 4pm. The Horeke Hotel wont be the flashest hotel you ever stay in but it could be the coolest. Its also home to an abundance of local history in the living form of the owners storytelling and old painting collection. There is even an original local Treaty signed just after the Treaty of Waitangi. 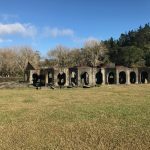 The trail officially starts at the Māngungu Mission so we decided to check it out. Its only a 3km ride down a gravel road and a very picturesque wee spot with views over the Hokianga Harbour. And 3km down another side road is the Wairere Boulders. Unfortunately, we didn’t have time to visit but I hear its well worth the trip to see the stunning rock formations and wander around the boulders. So after exploring the area near Horeke we returned to the pub to enjoy the views from the expansive deck. 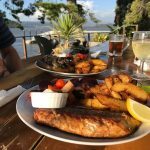 The menu for dinner looked simple, steak or fish option, maybe a little too simple I thought but it turns out the hotelier is a whizz in the kitchen and we had the most delicious dinner as the sun set over the Hokianga. The steak and fish were great and the accompanying vegetable dishes and thrice cooked fries were amazing. The hotel has 3 rooms, two downstairs (one with harbour views) and one upstairs with 2 double and 2 single beds and the best views. Luckily a friend of ours has stayed here before and recommended the upstairs room so we had stunning views and loads of space. After a good nights sleep we were up early to start the trail. And this is when I wish I had known to chat to the hotelier about the history of the area the night before. 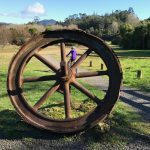 Once he gets started with the maori and early settler history and NZ history too its way to amazing and interesting to leave, so our ride start may have been a little delayed but our knowledge of local history was greatly enhanced. So we set off about 8.30am along the road and across the board walk. I always find it hard when I start off on a long ride to pace myself and this was no different especially as it was just my husband and I riding so no group shenanigans to distract me. Thankfully after about 5km I overcame my mental block about the distance and got distracted by my surroundings which were very picturesque and varied as we cycled along streams, through native bush and through countryside. The first half of the ride is mostly gradual climbing but it is well graded and not too tough. There is only one quite steep hill climbing out of the valley up to Okaihau and I ended up pushing my bike. We made Okaihau for a perfectly timed morning tea as the owner was about to shut up shop for a catering job. 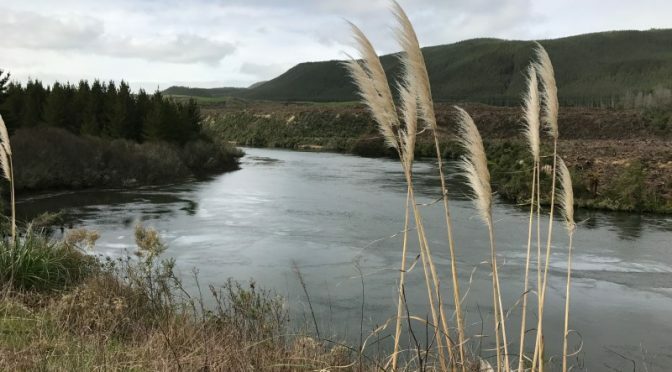 The towns on this trail are few and far between (as they are on most of the New Zealand cycle trails) so make sure you bring your own supplies or plan ahead to make sure cafes are open when you get there. 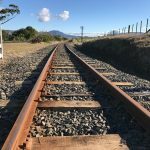 From Okaihau you more or less follow the old railway line all the way to Kawakawa then Opua across bridges and through a couple of tunnels. The highest point of the ride is just north of Kaikohe then its pretty much all down hill riding to the coast. We arrived in Opua about 4pm and were pleased that Jonny had suggested to ride from the West to East Coast. Going this way you get almost all the climbing out of the way early on. The trail is very well built and not at all technical. It has good surface conditions and the overall gradient is not tough. Of course, if riding the whole trail in one day sounds a bit much, you can always check out the accommodation along the way. This trail would suit older children or younger children in trailers or tag-a-longs. There are a lot of barriers on the trail and I have read that if you have panniers you end up lifting your bike a lot. For us it just meant a lot of getting on and off. 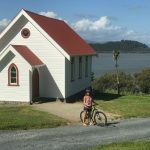 One of the things I have loved about blogging about our adventures is sharing cycling tales with people all around New Zealand and the world. Not only does it inspire me to explore different places but through reading about other peoples adventures I have learned a few things along the way. 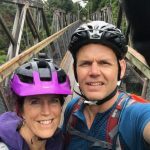 One of the mad keen cyclists I have meet it Cycle Coach – Janet Stark and together we have teamed up to ask some of the cyclists we follow for their favourite tips to get you on your bike and exploring all of the awesome cycling New Zealand has to offer. Lots of my clients worry that they are not good enough to come on a group ride or are embarrassed by their cycling skills when they attend a coaching session. It doesn’t matter how good or bad you are. What counts is your starting point and how you can improve from there. If you don’t get on your bike and try something new you are never going to find out if you can do it or not – Just get on your bike and ride and seek help if need be. Never be embarrassed from trying – be proud of your achievement instead. Make sure you always carry at least a couple of tools, a chain breaker and a pump – even just a basic multi-tool (and know how to use it). Sounds like a broken record but you might carry it around for 1 year and never use it, but the day you need it- you will be glad you did. Oh, and always have fun! When going downhill, remember heels down and elbows bent, look aggressive but safely get down the decent. Heels down should prevent you from tipping over the handle bars. Vision: one of the biggest things about driving any form of vehicle is vision and this does not differ to cycling. Look ahead, let your peripheral vision fill in the blanks and ride to your line. Force yourself to never look at your handlebars and look ahead. Ride under lights: One of the biggest improvements you can make to your riding reiterating the above is to ride off-road under lights at night. This will hone your trail skills, lines, and amazingly your balance. Your mind then, naturally, has less information to distract you. Be flexible: Strangely this can be taken both physically and metaphorically. Stretching and doing core strength exercises will help you massively on any ride and allow you to control the bike more freely and relaxed. Metaphorically be flexible with where, how and what you ride, change is good! Cycling in New Zealand is an amazing way to see the country. It’s slower than by car, but faster than walking! It gets you to beautiful remote places with stunning nature and wildlife. But always check out the grade of the trails. For example on the website of NZ Cycle Trail. Or on the trail websites. The grades go from very easy to expert. Beware! Sometimes a trail consists of different grades. For example the Motu Trails. You start with an easy, flat 10 km ride on the Dunes Trail (Grade 2), the next 67 km on the Motu Road Trail is Grade 3 (intermediate), and the last part on the Pakihi Track is only for advanced mountain bikers. So read the description of the trails carefully, and make sure everybody in your group is capable to ride the particular trail. It makes it so much more fun! Tip: you don’t have to cycle the whole trail. Pick the part which matches your skills and arrange a pick up by one of the many tour operators on the New Zealand Cycle Trails. Bring out your inner child and play on your bike. Try rolling over curbs, roots and logs and getting either or both wheels off the ground (on purpose!). Zooming down trails with manic grins is a status to be proud of no matter what age! The popularity of mountain biking and off-road cycling in New Zealand has exploded in recent years. 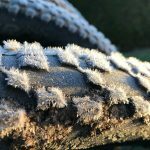 The result of this is that, not only are there cycle trials and paths all over the country, there is an increasing amount of bike hire and bike tours in the right places too. 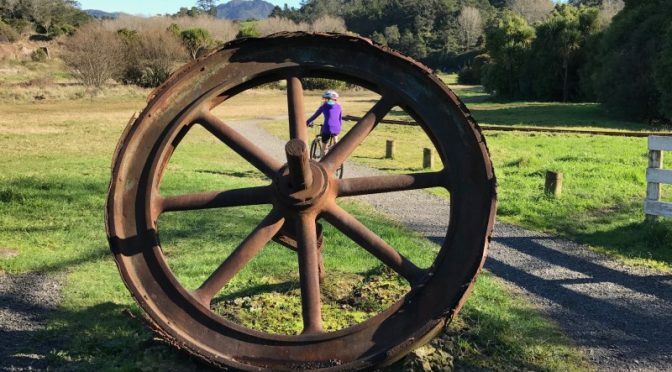 The best way to tap into these rides – be they urban explorations or cross-country trails taking in attractions like wineries and country cafes – is to head to the nearest i-SITE visitor centre. Most towns and cities now have decent cycling/walking maps and i-SITE staff can give you advice on the right ride for you, and tell you where to hire a bike. 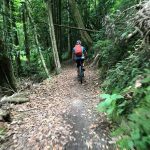 The Nga Haerenga New Zealand Cycle Trail is a great way to explore particularly scenic parts of New Zealand, with 22 official rides, ranging from super-easy, half-day rides to advanced, multi-day bike-packing adventures. 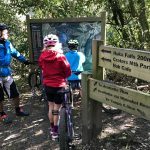 The official website NZ Cycle trails gives you info on what to expect, while individual trail websites provide more details. Anyone wishing to really dig down into New Zealand mountain biking should pick up a copy of the Kennett Brothers’ Classic New Zealand Mountain Bike Rides – an indispensable guide. Other great resources include the Tourism New Zealand website and Single Tracks. Commuting with an electric bike – it’s a cross between cycling and motorcycling except unlike a motorbike you’re silent, which means you are more vulnerable to not being seen. You can be on top of someone faster on an electric bike which, if it’s like mine, can do 40kph without too much effort, means you have to factor this in when riding. Space, distance from anything that moves is much more important at 40kph compared to 25-30kph. Lane splitting is often safer on a fast-electric bike than, safer than using the bike lane when the traffic is stationary or near too it, it removes or greatly lessens the likelihood of having a car pull into or out of a driveway which happens all the time. 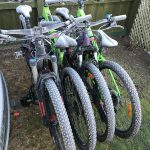 We love mountain biking in Rotorua so much that even as we were driving to Taupo for the weekend I wondered why we weren’t going to Rotorua. 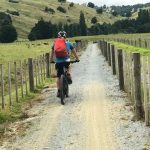 Spoiler alert, after a weekend riding there I love Taupo nearly as much as Rotorua so read on to find out what rides we enjoyed. 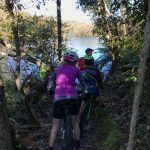 While Taupo doesn’t have a mountain bike park on the scale of Redwoods in Rotorua, it has a great variety of rides in the area and a good size mountain bike park at Craters of the Moon. 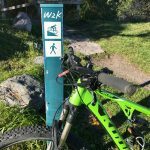 On our first day we decided to ride part of the W2K trail which is part of the Great Lake Trail, about 20 minutes drive out of Taupo. I couldn’t ever get my head around the names of these rides K2K and W2K but it turns out to be the initials of the towns where the rides start and finish; Kawakawa Bay to Kinloch and Whakaipo Bay to Kinloch. 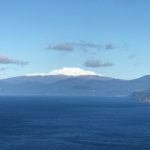 To do the full Great lake trail circuit requires shuttles and water taxis which sounds like fun but we just decided to do the Headland loop on the Whakaipo Bay to Kinloch (W2K) section. Now we all know it can be cold in Taupo but we just happen to have chosen one of the chilliest weekends of the year to visit. When we woke up it was -4° but with a beautiful clear sky. After waiting for the temperature to rise above 0 we headed out to Kinloch. Its funny how I have an idea of what a town is going to be like and I couldn’t have been more wrong with Kinloch. I imagined some rustic trout fishermans huts and found a large village of very flash holiday homes complete with a marina. After putting on more layers of clothing due to a cold wind coming off lake taupo we headed off past the marina and along the lake front to the start of the trail. 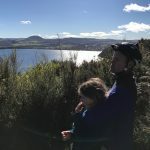 The trail is a steady climb up hill for about half an hour and you are rewarded at the top of the hill by stunning views out over the lake towards Kinloch. Then the views just get more stunning as you ride further around the headland with the most amazing view across the lake of Mts Ruapehu, Ngauruhoe and Tongariro and a full sense of the size of Lake Taupo is awesome. Fun fact, Lake Taupo is actually the crater (caldera) of a blown apart volcano which was formed thousands of years ago and was one of the most explosive volcanoes in all of history. After riding up the hill to the headland, we cooled off pretty quickly as we were hit with the full force of the wind coming off Mt Ruapehu and over the lake. At this point, I wondered if we had enough warm clothes with us as the temperature dropped to 5 ° and windchill was probably 0 °. Thankfully, further around the headland we found a sunny sheltered spot out of the wind to have our lunch before we completed the loop and headed back down the hill. All in all it was an enjoyable 22km Loop with no difficult bits. It was slower to ride than we thought but as always we stopped to enjoy every view and the trail is quite slow to ride as it winds around the headland. Even though it had rained a lot recently the trail was in great condition. That afternoon we thawed out in the Debretts hot pools which was lovely and relaxing. The kids enjoyed the slides and we enjoyed the heat. The next day dawned as chilly as the first with the most amazing frost I have ever seen so again we waited for the temperature to raise above zero before venturing out. 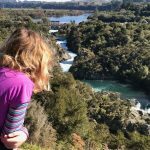 We had decided to ride from Spa Park Rd to Huka Falls on the Huka Falls Rotary ride, well one adult and 2 kids were going to ride and 1 adult was going to drive the car to meet up at Huka Falls. We discovered an unexpected bonus at the Spa Park Rd carpark where there was a pump track my son could have played on all day. So after a slower than expected start to the trail the ice in the puddles still hasn’t defrosted. This was a great little 5.5km trail – the kids and I really enjoyed riding it. Again, even though it had rained a lot recently the trail was in good condition. We met my husband at Huka Falls and all watched in awe again at the huge volume of water pouring over. 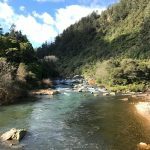 Check out the walking/cycle trail on the same side as the main carpark which has a Falls viewing area that is way less crowded than all of the closer viewing spots and gives great views of the Falls. Next we all rode to the Aratiatia Dam. 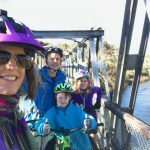 It is a relatively easy 7km ride from the Falls to the Dam with more great views of the river and we got to get up close and personal with a very cool bridge on the relatively new Taupo bypass. This section of the trail had a few puddles and even though it was a beautiful sunny day there was still ice in the puddles as we rode back. Plan to get to the dam just before the flood gates open at 10am, 12pm, 2pm (and 4pm October to March). The water flooding through the gates is an amazing sight and there are several platforms to view the gorge and rapids from. 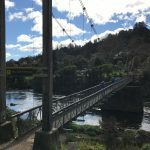 On the way back to Huka Falls we decided to cross the Waikato river on the Taupo bypass bridge and ride back up the other side of the river. The trail is a bit more technical on this side and in places it has been rebuilt on a massive slip, has some quite steep bits and is quite narrow with drop offs. This part of the trail was also quite muddy. There is an alternative route that I would recommend you take if you aren’t that confident at riding. Again we got some great views of the river including seeing jet boats whizz by. We also came across a hot water stream and a hot water ‘beach’ along the trail. 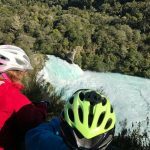 Altogether it was a thoroughly enjoyable 14km loop from Huka Falls that could be made into a 25km loop riding from Spa Park to the Dam and back or any combination with a shuttle pick up or drop off from one of the many shuttle providers in Taupo. 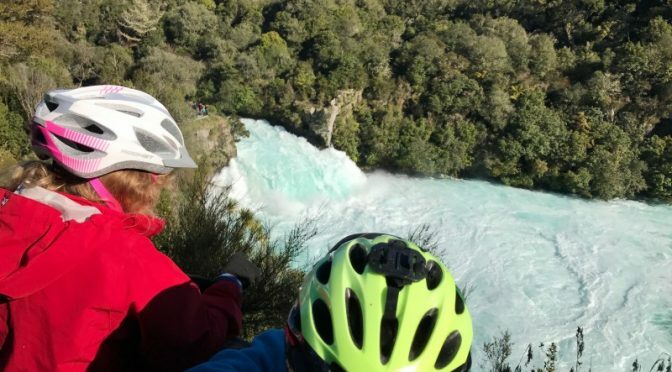 If you have any energy left after riding the Huka Falls Rotary Trail, the Craters of the Moon mountain bike park is very close to Huka Falls and has about 50km of trails. We have ridden there before and thoroughly enjoyed it but after two days of riding we didn’t visit this time. 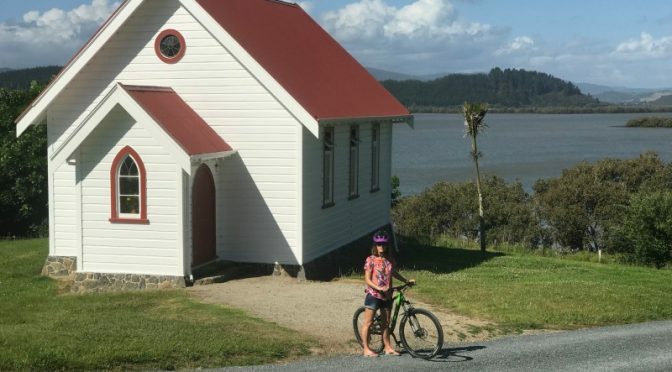 You do need to pay to ride and can do so online at Bike Taupo or at one of the bike shops in Taupo – Its $25 for an annual pass or $10 for a weeks pass. We still haven’t ridden all the rides in Taupo so will have to go back, maybe on a slightly warmer weekend. 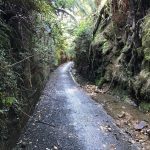 We’ve spent a lot of time exploring the Karangahake Gorge area but never on our bikes which is somewhat surprising. 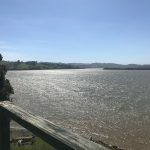 When the kids were younger we spent a lot of time at Waihi Beach – I think I found it easier going to the same holiday home so you know what to expect when the kids were younger and its an easy 2 hour drive from Auckland. The kids got older, we got more adventurous, discovered mountain biking and haven’t spent quite so much time in the area. In the school holidays I thought it would be nice to revisit the area and do some of the Hauraki Rail Trail. As an icy blast swept the country we headed South to Waihi Beach, at least we were there for 4 days so hopefully we could get one fine, not too chilly day. As luck would have it the second day we were there dawned bright and sunny…if a little chilly. After we had fueled up and layered up we drove to the Waikino carpark. 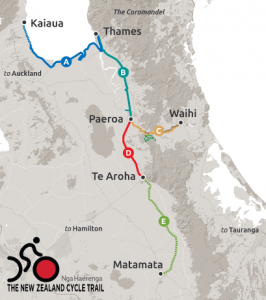 I didn’t realise until I was looking up the website for this ride that the trail goes from Waihi township to Paeroa and then South to Te Aroha and North to Thames where it also heads round the Firth of Thames towards Kaiaua on the Seabird Coast. More information on each section of the trail is available here. We decided to ride through the Gorge as we have always enjoyed the history of the area and have read that it’s the most picturesque part of the trail. 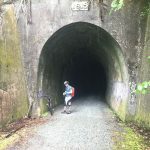 There is a tunnel under State Highway 2 that connects the Waikino carpark to the trail. Then across the Ohinemuri River on the first bridge of many on the trail. Within a couple of hundred metres you encounter your first historic site at the Victoria Battery. The Battery had 200 stampers and was the largest quartz ore processing plant in Australasia and the country’s largest producer of gold. There are extensive ruins and points of interest. 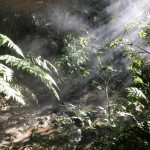 The Tramway Society of Waikino has open days on Wednesdays Sundays and public holidays. 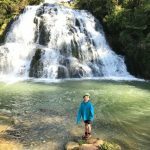 Not far from here is the historic Waikino pub, accessed via a new swing bridge, and then there there is the stunning Owharoa waterfall only a couple of minutes from the trail but we decided to visit them on the way back seeing as we hadn’t spent much time on our bikes just yet. The trail was lovely and flat so a great gradient for kids or those not looking to expend too much energy. It was about a half hour ride at a leisurely pace to the narrow part of the gorge where another bridge crosses the river and connects to the tunnel. This end of the tunnel is quite an interesting view as you study the engineering feat of a 1 km tunnel built over 100 years ago with the rush of the rapids in your ears and cars whizzing by on State Highway 2. 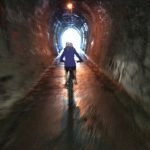 We have walked through the 1 km tunnel many times so it was fun to whizz through it on our bikes. The lighting has been upgraded a lot since we first walked through so its very easy to ride. It can be busy with pedestrians and cyclists but when we rode even though there were lots of people on the trails we didn’t encounter too many in the tunnel. At the other end of the tunnel its straight on to another bridge across the Ohinemuri river again. At this point you can ride North towards Paeroa and Thames or loop back to the main Karangahake Gorge carpark. We rode a couple of kilometers along the river towards Paeroa before turning around and saving that section for another day. 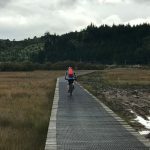 I have heard that its not the most interesting ride but if you were looking for a less busy part of the trail to do then this would be worth checking out. We headed back towards the Karangahake Gorge carpark as we have always loved this area and there is a café there. There are some awesome walks here and if you wanted to explore the area more you might want to bring your bike locks and more food than we did. After a coffee and a snack we retraced our steps ( or wheels as the case might be) back to the tunnel. There is another trail along beside the river that connects to where we first went into the tunnel but the signage was slightly ambiguous as to whether it can be ridden or not and from experience we know its very narrow and there were lots of walkers on the trail so we didn’t want to get in anyone’s way or be getting on and off our bikes all the time – it is a stunning walk beside the river so again if you wanted to do it, bring your bike lock and explore by foot . Normally I don’t like riding back on the same trail but the views on this trail are so stunning that I didn’t mind at all. There was less stopping for photos on the way back although the kids wanted to throw stones in the river, something we do every time we come and who can resist getting splashed by icy water on a chilly day. 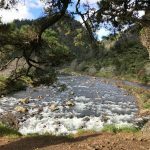 It was nice to have saved the Owharoa Waterfall side trip for our return trip. We couldn’t believe we hadn’t discovered the waterfall before and its always nice to find something new. It isn’t very well signposted so take the first road into the hills after the battery. Less than 5 minutes from the trail ( and the main road ) there is a stunning waterfall with what would be a great swimming hole in summer. At this point I realised that only one of the adults needed to drive the car back to Waihi, so lucky me got to ride the 8 km back to Waihi all by myself. 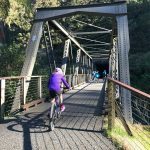 While it didn’t have the stunning scenery of Karangahake Gorge section, it was a lovely ride following the river and at times the historic train tracks. This section of the trail was much less popular on the day we rode. 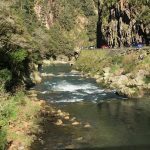 All in all a great way for us to revisit a part of New Zealand’s history and if you haven’t enjoyed the wonders of the Karangahake Gorge before, it’s a must do. 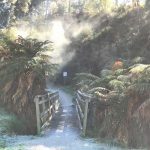 You may also like to read about walking in the Karanghake Gorge or check out other rides we have done with children; Old Coach Rd and the Timber Trail. This would be such a great trail to get younger kids out on their bikes and could also easily be ridden with younger children on your bike, bike trailers or tag-alongs. It’s a mostly grade 1, a great gradient and has nice wide paths. There are enough points of interest along the way to keep everyone motivated although this can make for a stop/start ride to fully appreciate the beauty and history of the area. Pick the distance you want to ride, what most interests you ( or you kids ) on the trail and get out there. 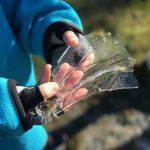 You may also like to read Mud, sweat and tears – a blog I wrote about mountain with kids.